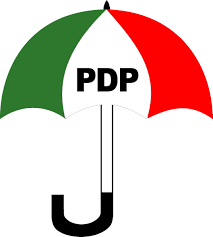 The Lagos state chapter of the Peoples Democratic Party (PDP) on Friday warned aspirants in the state against taking to violence in their bid to become the party’s candidates for the 2019 elections. The Publicity Secretary of the party in the state, Mr Taofik Gani, gave the warning in a statement he issued in Lagos. He said the party abhorred violence, warning that any aspirant found engaged in the act would be disqualified without appeal. Gani advised those seeking the party’s tickets to pursue their aspiration peacefully and in line with the rules of the party. He said that sales of nomination forms for aspirants in the state had commenced on Aug.30 and that the submission deadline was Sunday(Sept 2). Gani said aspirants for the state assembly seats were to collect their forms from the party secretariat with proof of payment. “Other aspirants are to collect forms at the party’s national secretariat in Abuja,” he said. The Publicity Secretary said the party was taking steps to replace its former Chairman, Mr Moshood Salvador, who defected to the All Progressives Congress on Monday. He said that the party in the state was interfacing with the national Secretariat on the matter, and a replacement would come soon.